California’s homestead exemption is the Super Hero of the exemption world. While other exemptions protect things worth a thousand dollars here and a couple of thousand there, the homestead protects $75,000 for a single person and $100,000 for a couple. For the elderly or disabled, the homestead balloons to $175,000. The homestead may be powerful and famous but often not well understood. Here are six things you probably didn’t know about the homestead. Homesteads protect homeowners from a particular kind of creditor- the judgment creditor. A judgment results from a lawsuit and the determination that you owe the plaintiff who brought the action a certain amount of money. 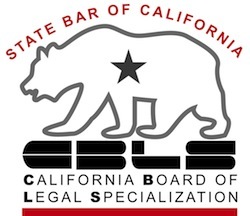 All about California judgments. The judgment entitles the judgment creditor to use certain legal powers of the state to collect that money. That right to collect is limited by the judgment debtor’s homestead rights. The homestead exemption was designed to assure judgment debtors of a place to live, even if they owed money to creditors. The California homestead does not guarantee you that a creditor can’t force a sale of your home to pay a debt. Instead, it guarantees that you get the dollar value of your homestead from the forced sale of your home before the creditor forcing the sale gets any money. A creditor who seeks to levy on a homestead has to convince the sheriff or a judge that any sheriff’s sale will return enough money to pay the homeowner the homestead. The cost of making sure that the homeowner gets their homestead first restrains judgment creditors from looking to home equity as a source of payment. It’s just too expensive and uncertain in most cases. California law allows you to pledge your homestead as collateral for a loan. So, when you encumber your home as part of the purchase transaction, or tap the equity through a HELOC or refinance, you give the lender the right to foreclose on your home without regard to your homestead. The law says a foreclosure that doesn’t pay you your homestead is OK, because the transaction that put your homestead at risk was voluntary. Own your home and you automatically have a homestead exemption. You don’t have to do anything to get certain protection of your equity from judicial creditors. CCP 704.710. The automatic homestead has the same monetary measurements as its beefier, more powerful sibling, the declared homestead. The automatic homestead only protects the home against a forced sale that wouldn’t yield enough proceeds to pay the homestead before paying the creditor. If you choose to sell your home and a creditor has recorded a judgment lien that attaches to your property, the judgment creditor gets paid from the sale before you get your homestead. The declared homestead operates differently: the homestead amounts are the same, but the declared homestead protects exempt equity if you voluntarily sell your home. CCP 704.910. The exempt proceeds remain protected for six months from the voluntary sale of the home. That six month period is intended to provide a window in which you can reinvest the homestead in a replacement home. When a married couple is entitled to a homestead, but the debt is an obligation of only one spouse, the debtor spouse can assert the entire homestead available to a married couple. One of my cases established this proposition in a bankruptcy case. When only one spouse filed bankruptcy and only his half of a tenancy in common came into the bankruptcy estate, he could still claim the entire exemption available to a married man. McFall. Since the homestead is found in state law, it does not limit the collection powers of the IRS or other federal agencies. The Supremacy Clause of the Constitution says federal law trumps state law. The IRS has its own, much smaller set of exemptions for delinquent tax payers. Those exemptions aren’t much force protecting a California home. In the real world, however, the IRS seldom tries to force the sale of homes. Like most other creditors with a lien on real property, the IRS simply waits til the homeowner wants to sell or refinance. Either sale or refinance generally require that tax liens be paid before the transaction closes. How long before foreclosing lender takes my house?